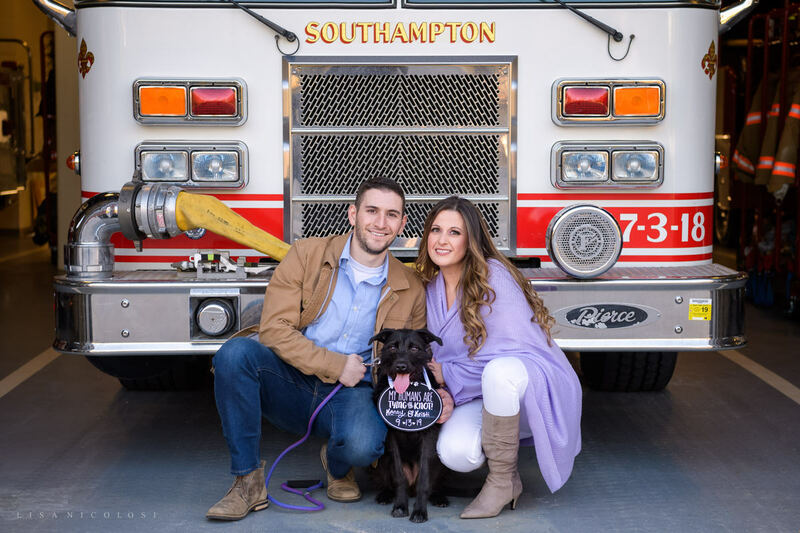 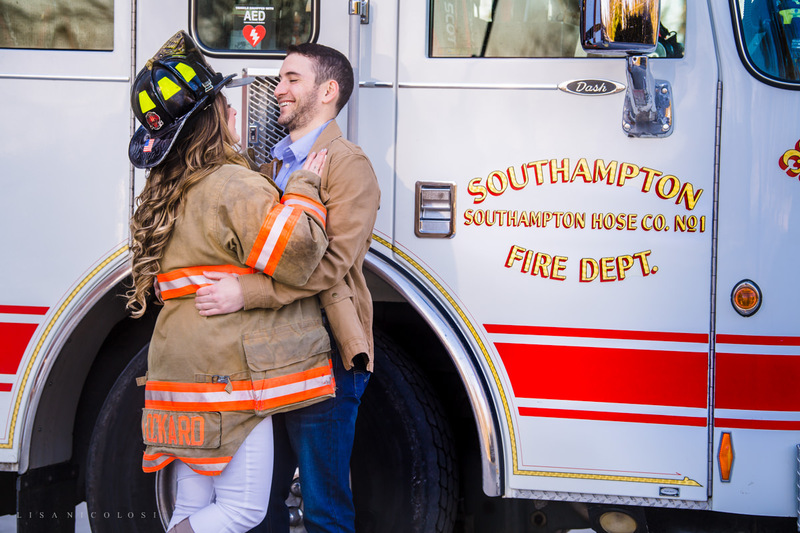 Excited to share my first engagement session of 2019 featuring two first responders from Southampton! 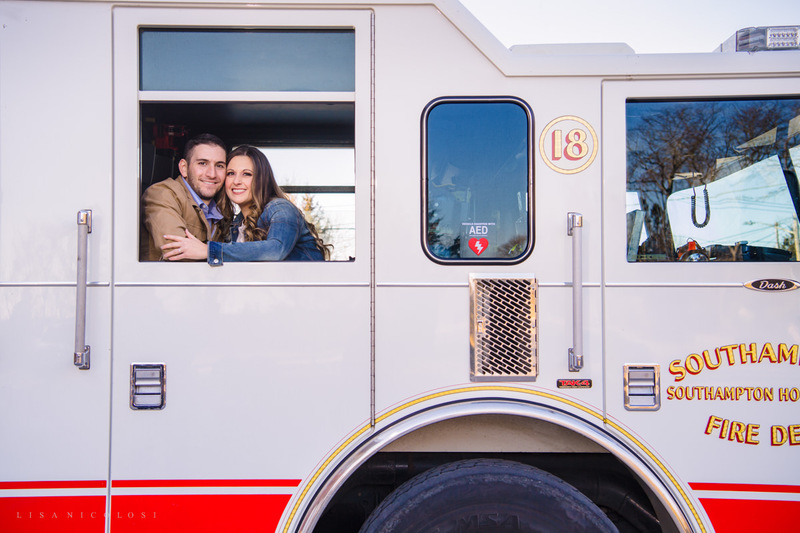 Kenny is a firefighter and Kristine is a paramedic and they met in an ambulance on one of Kristine’s first runs. 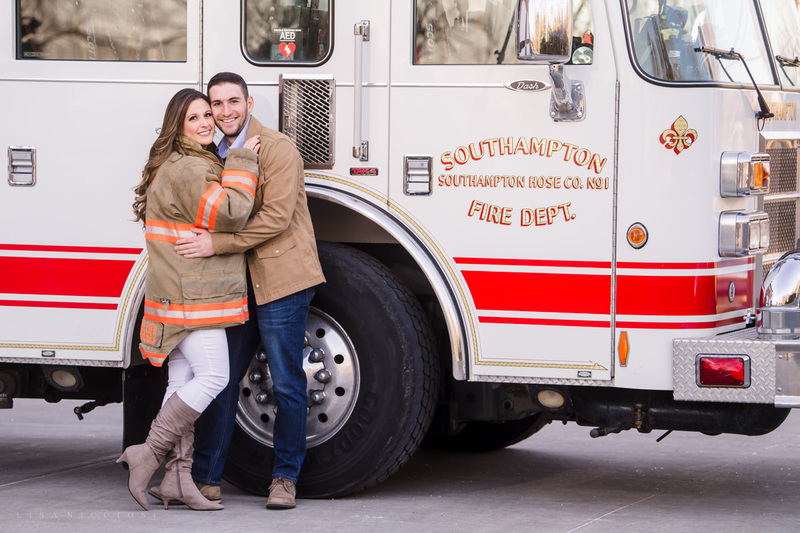 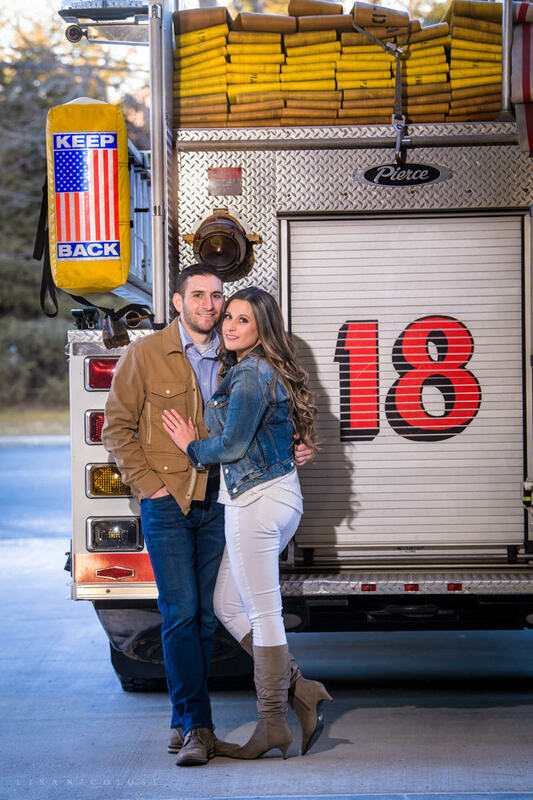 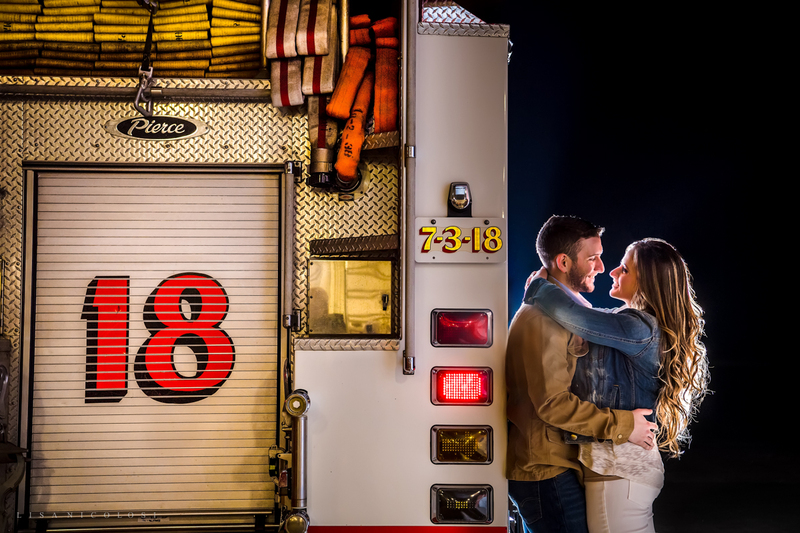 I have photographed Southampton engagement sessions before, but this is the first engagement session at the Southampton firehouse. 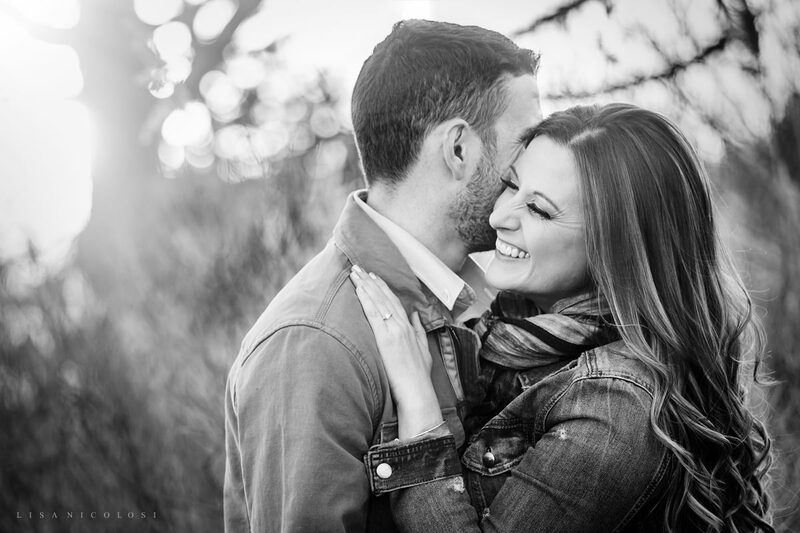 And I loved it! 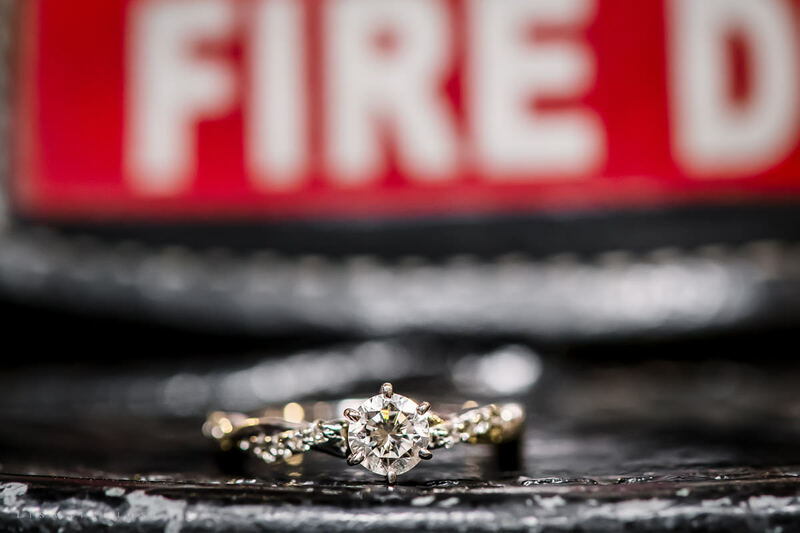 I am so grateful for our first responders, both my dad and brother were NYC firefighters. 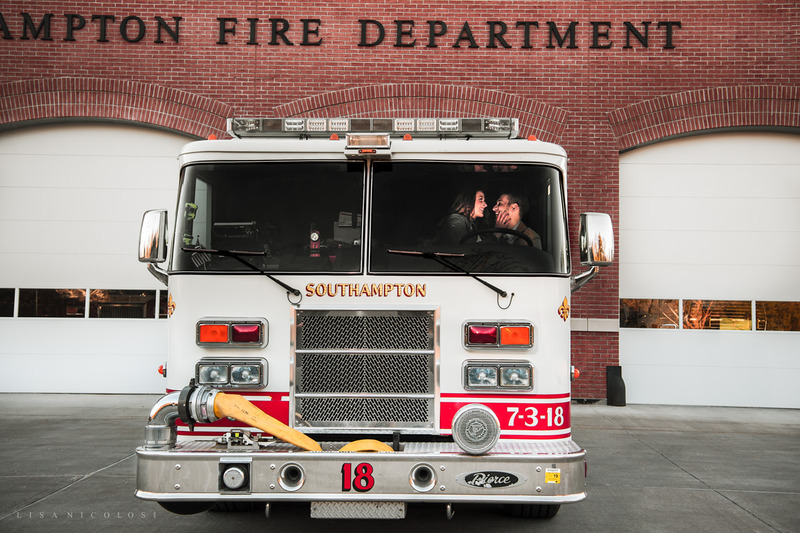 We started off at the Southampton Firehouse for some photos including one with their adorable puppy Dawson. 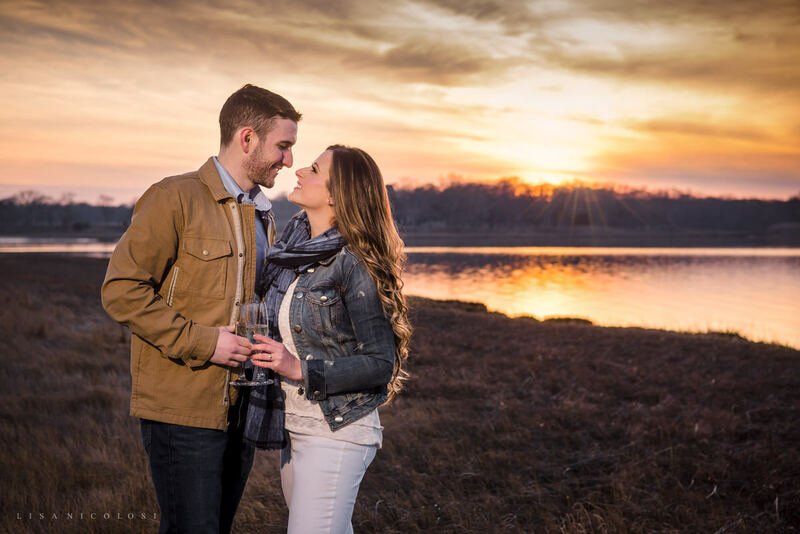 Then we went to Scallop Pond Preserve, this park is special to them as this was where Kenny first told Kristine that he loved her. 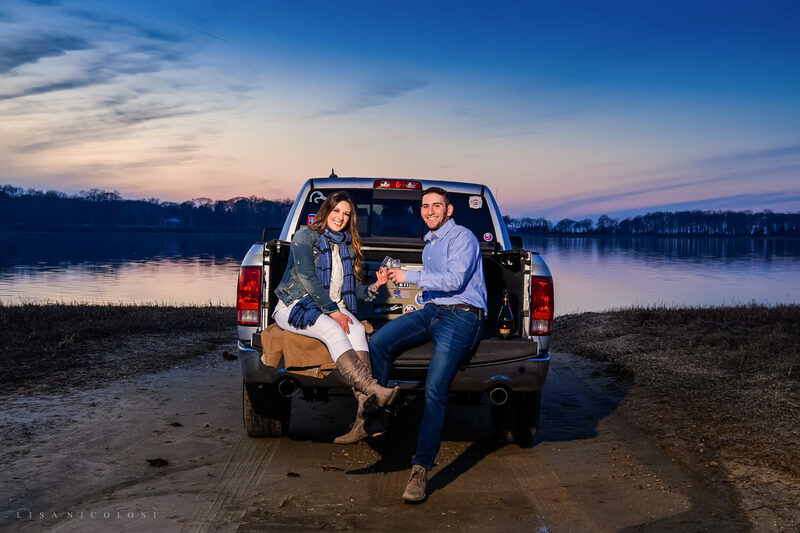 We were able to catch a gorgeous sunset and flip down the tailgate of Kenny’s truck for a photo of one of their favorite simple pastimes. 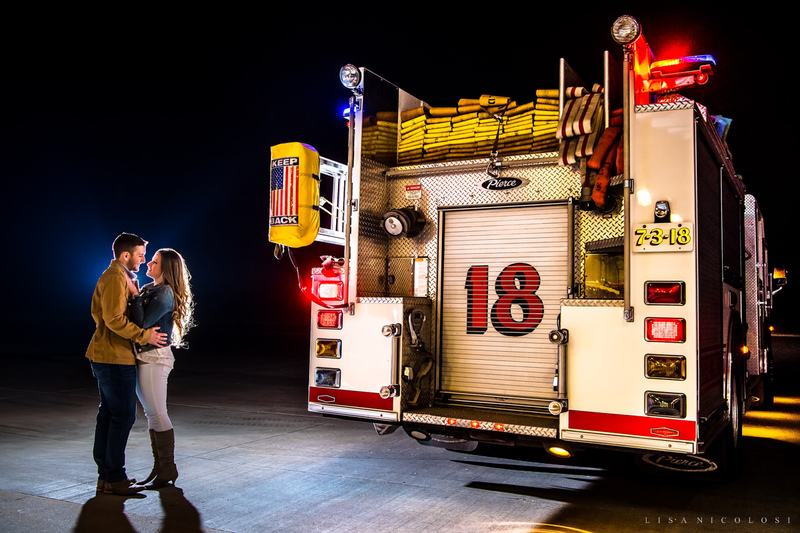 We ended the session back at the firehouse for some night shots. 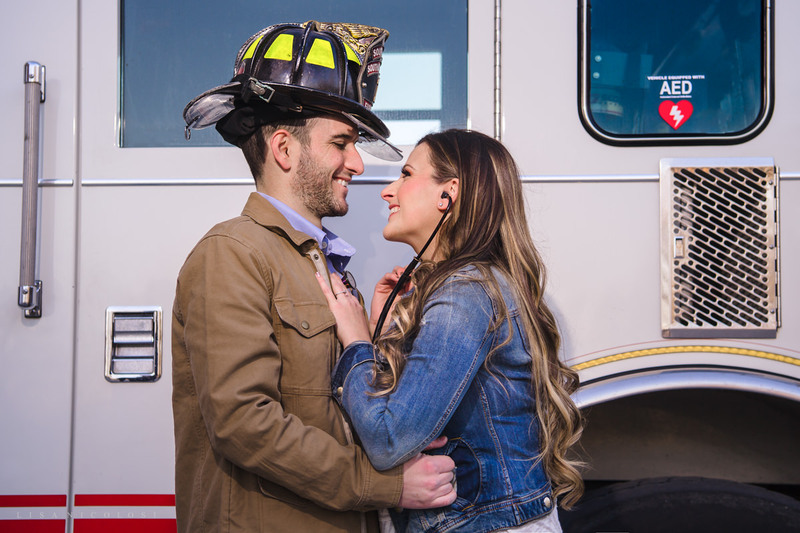 Kenny will become a probie with the NYFD and Kristine will be going back to school to become a Physician’s Assistant. 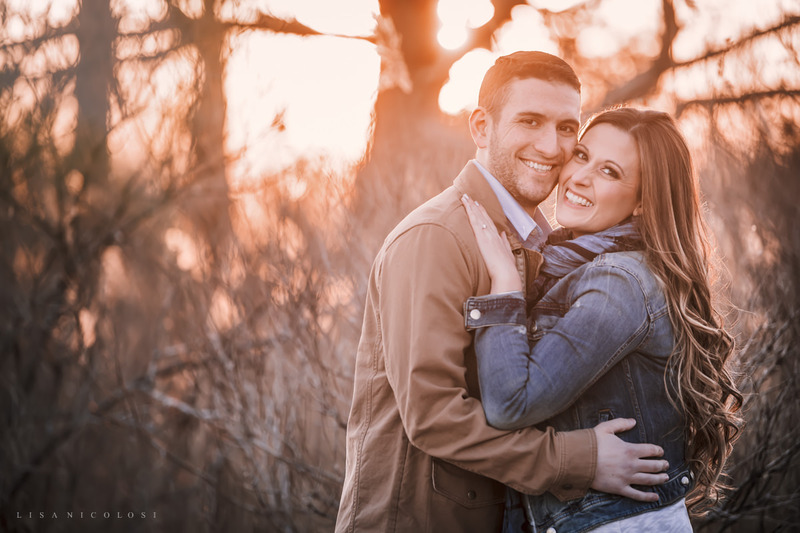 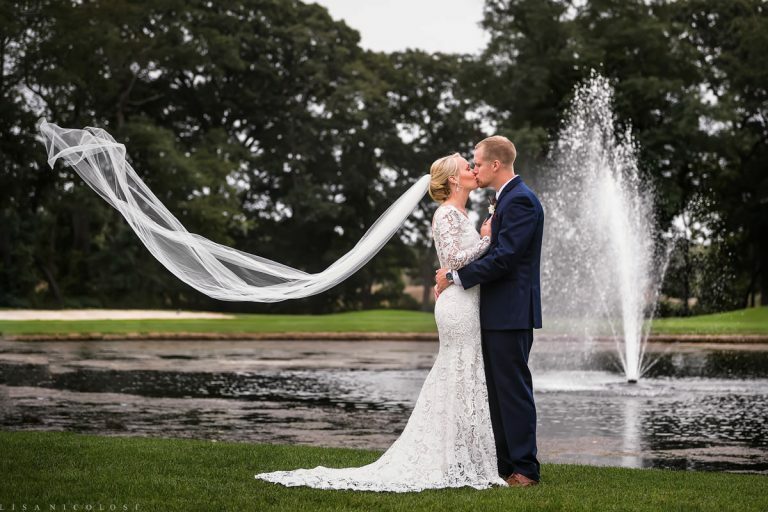 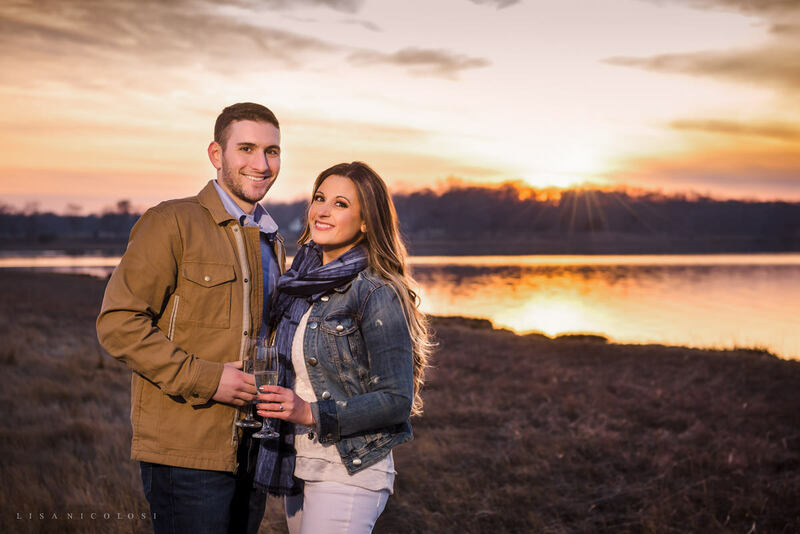 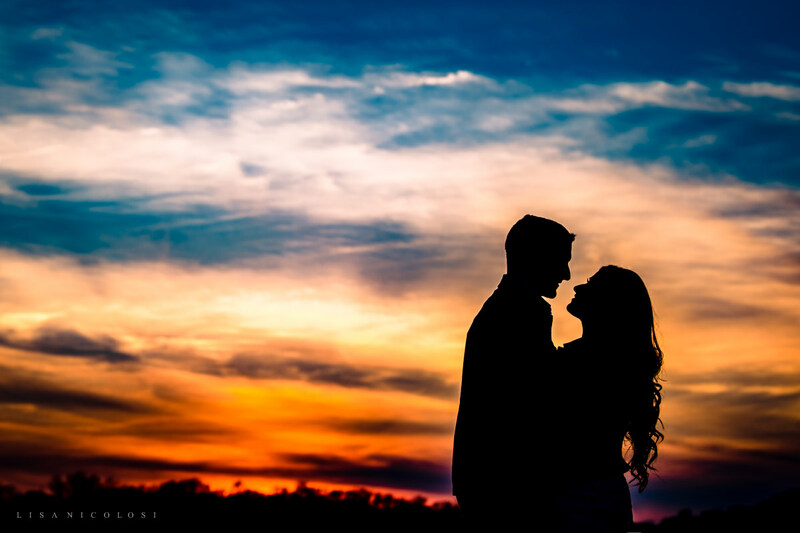 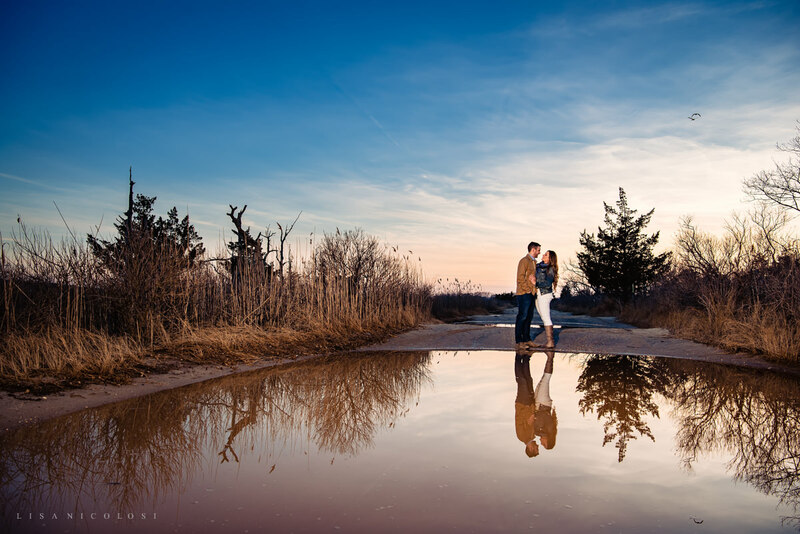 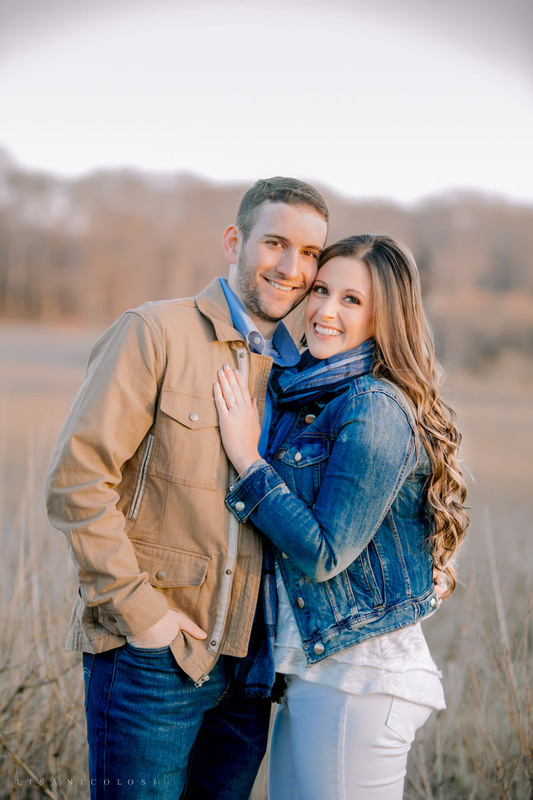 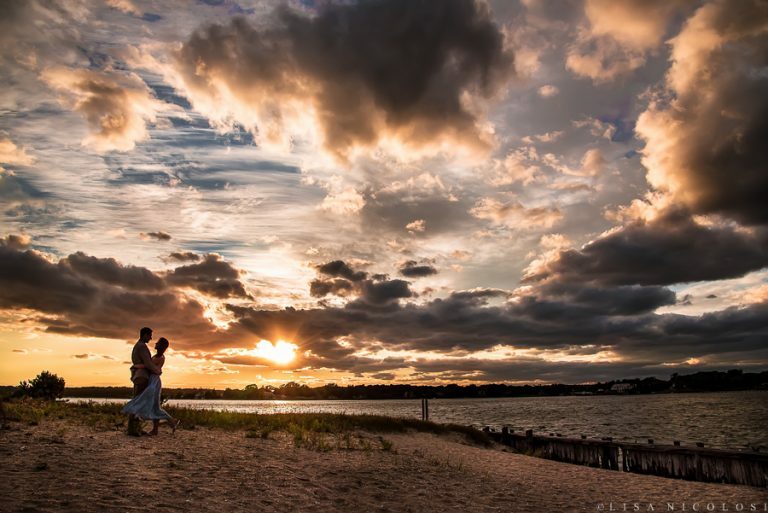 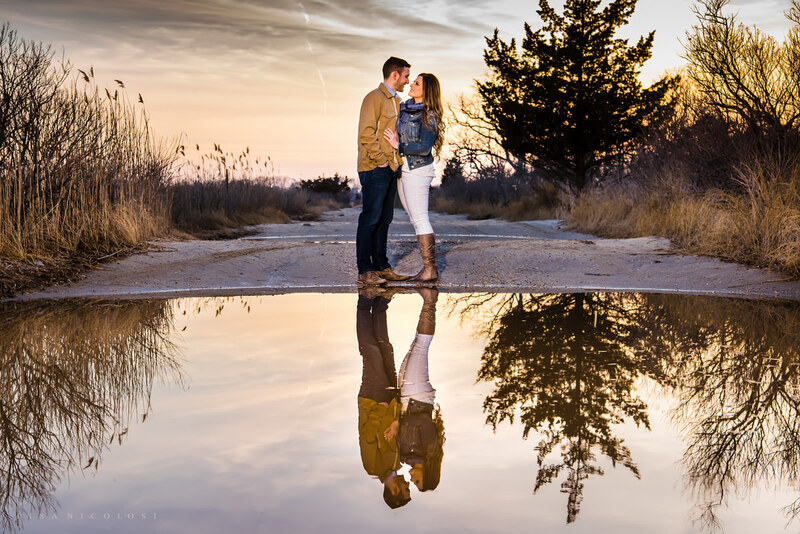 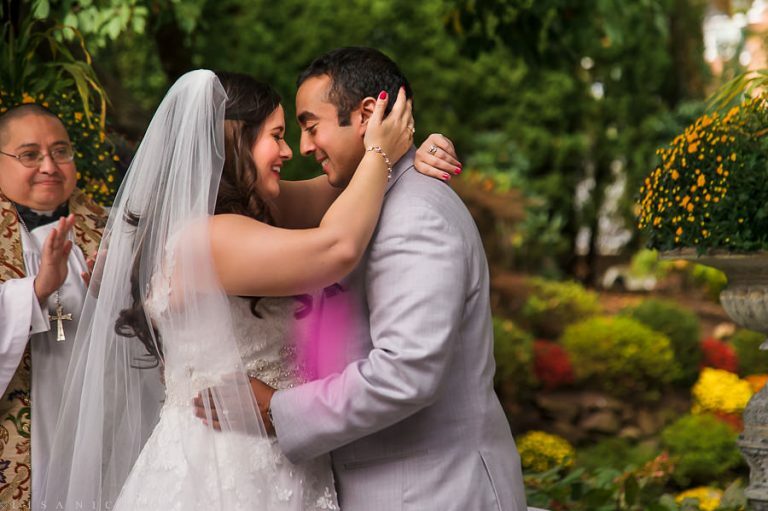 I had so much fun getting to know this awesome couple and I am looking forward to their wedding at Oceanbleu in Westhampton Beach this September!